It’s so wonderful to reflect on experiences. Two years ago I did a TEDx talk on a topic close to my heart – overcoming self-limiting beliefs and finding our spotlight moments. No matter if you are an introvert, extrovert or something in between, many of us struggle to move from the shadows into the spotlight. Being open to ‘Yes’ enables us to redefine the spotlight, understand we all deserve to be there and share our voice with the world. From my own personal experience and also from working with people making the transition from unknown to recognised expert, this is what I’ve learnt. It takes courage to be truly seen and heard. While we might want to have a desire to move into the spotlight, I believe it needs to have purpose. It’s about letting our self-limiting beliefs collapse around us and ask the larger question of why? I believe it’s not about literary being in the spotlight, it’s about the synergy and connections you create when you are there. I believe we all have stories to tell that will help others in some way. We have experience and expertise we have developed in our lives that should be shared because others will benefit from it. The world needs to hear what you have to say. As soon as I realised that stepping into the spotlight wasn’t as me, it was about you, and what you take away from hearing my voice, it really helped me because I realised I was being of service. Moving into the spotlight is not about being someone you’re not. Neither is it about changing your personality. It’s about allowing your true self to emerge from the shadows and being illuminated. And it’s not necessarily about striving and seeking. It can be about standing still and feeling the ground beneath your feet and allowing people to come towards you. 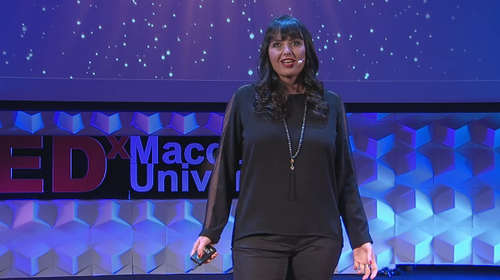 I spoke about a topic close to my heart at TEDx Macquarie University – Being open to ‘yes’. 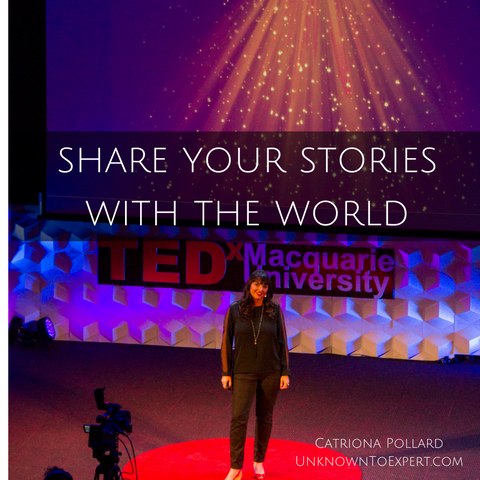 Here is my TEDx talk and I hope that sharing my challenges about stepping into the spotlight and what I have learnt along the way inspires you to do the same. For today’s #Vidtember video I am sharing with you why practice makes perfect. I have just finished my rehearsal for the TEDx talk I am doing next week. This got me thinking about how to develop a compelling presentation. Watch my video below to hear all my tips. Today’s #Vidtember comes from my favourite spot in Sydney. This week I’ve been invited to speak at TEDx and I’m in the process of figuring out how to present my keynote in the best possible way. Move from your fear into your excitement. Use Post It notes to plan the ideas and the flow of your presentation. Practice to the point where you know it so well, it’s just a part of who you are. Watch my video below to learn more. On a ranch outside of Austin Texas, I kicked up my heels and laughed my way through boot scootin’ dancing, rubbing shoulders with one of the most influential men in IT and presented to 150 influential female entrepreneurs from around the globe. How did I end up there? I said yes to every single speaking opportunity that came my way in the past few years. I was asked to present in Texas at the exclusive DELL Women’s Entrepreneur Network (DWEN) annual conference where 150 hand-picked women from 12 countries forged new connections and inspired each other. I have spoken for scones in regional Australia (how could I say no to the Country Women’s Association! ), I have crawled out of bed at the crack of dawn to speak at breakfast events, I have run a workshop all day and then jumped in a taxi to go and key note at an evening event. You name it, I’ve done it. 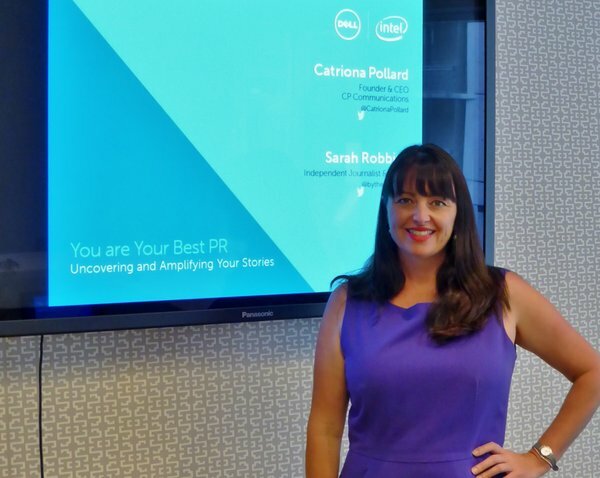 There is a long way between speaking at the local chamber of commerce to being invited to speak at DELL’s Women’s Entrepreneur Network (DWEN) in Texas, but how I got there all comes back to thought leadership. 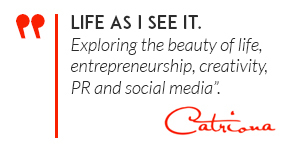 Two years ago I made the conscious decision to step into the spotlight and put myself forward as a PR and social media expert and speaker. Instead of only pitching my clients for publicity and speaking opportunities, I swallowed my natural introversion and added myself to that list. I started by joining online and offline networking groups, where I was willing to share my expertise and original ideas. At the same time I put myself forward as a speaker and expert interviewee for the media. These free speaking opportunities (including speaking at the CWA annual conference for free scones!) were the perfect way for me to gain confidence in my speaking skills and cut my teeth for the wider business speaking circuit. 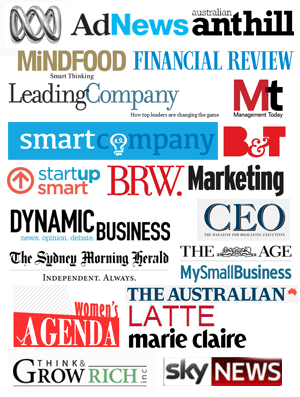 While I have been blogging about public relations and social media at Public Relations Sydney since 2006, and I was an early adopter of the two social media networks that helped build thought leadership, Twitter and LinkedIn, I made a concerted effort to throw my media net much wider. 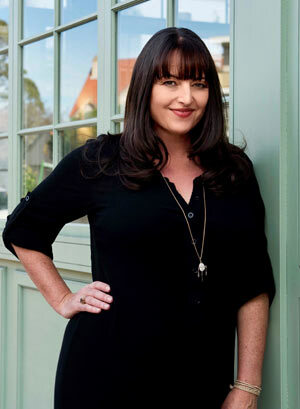 Backing my speaking opportunities up with media coverage on my expert topics meant my face and name became more familiar not only to prospective clients, but also event organisers looking for speakers. Along the way I’ve picked some vital tips to help aspiring speakers. 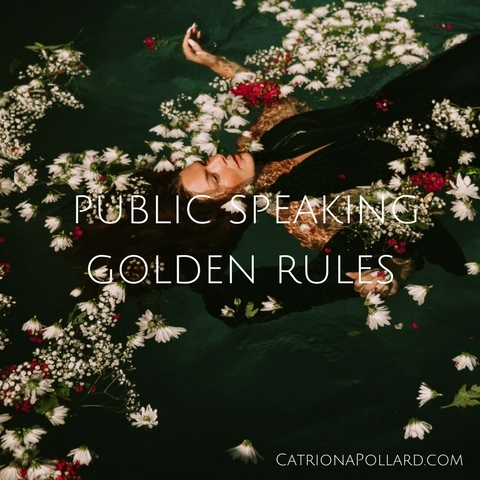 I originally found speaking in public nerve-wracking, but I’ve found I could calm my nerves if I knew the audience (demographics, level of knowledge on the topic and numbers) so I could tailor my presentation and have practiced as much as possible beforehand. As my reputation and speaking testimonials grew, so did the opportunities that came my way. Eventually I was invited to speak at bigger events, at times being paid for this expertise. And the invitation to speak at DWEN shows all my hard work has paid off. Not only did I get to speak to an international audience of switched-on women, but I also get to practice what I preach by sharing my knowledge on personal branding. Here are a few of my tips help you get started with public speaking. You don’t have to be a professional speaker to be able to present at events. Anyone with expert knowledge, the ability to speak clearly and with an engaging presence on stage can be a speaker. If you feel you don’t have these qualities then you can get public speaking training from a number of organisations. When applying to speak at an event you will need to provide them with previous speaking experience. Start by attending small events to build up your experience and also your confidence. 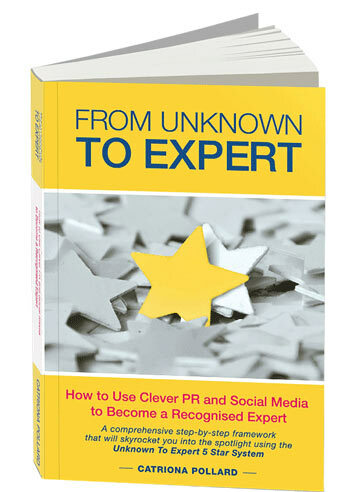 Think about the area of expertise you want to build your profile in. This area is usually related to your profession to enable you to promote your business. For example, if you work in a bank and look after small business banking then you could be an expert in small business banking. Keep in mind you need to have a high level of knowledge about your particular topic. Think about the events you want to speak at and which events your target audience will attend. Choose events related to your area of expertise and events attended by potential customers. Start by attending events as a guest to determine if they are appropriate to speak at. Also think about joining business or networking groups that have regular guest speakers. These organisations are usually happy to use their members before asking non-members. When you start applying to present at an event you may not be accepted straight away but don’t give up. Keep trying and build up your speaking experience at small networking events. 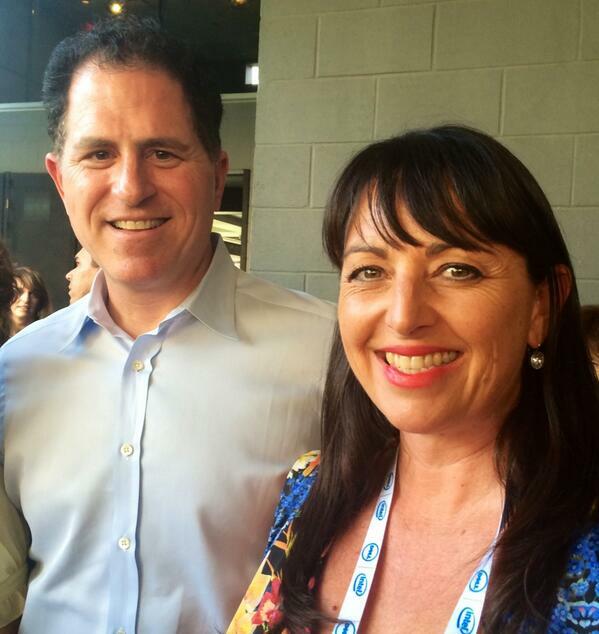 Watch the video below to see me featured in the highlights of the 2014 DWEN conference in Austin, Texas. The very thought of public speaking terrifies many of us. In fact, the fear of public speaking ranks higher than the fear of death. It’s crazy, but true. But whether we like it or not, public speaking is a fact of life. Whether you’re doing a presentation at a conference or event, or pitching to clients in the workplace, we all have to take the stand at some point. But presenting to your audience doesn’t have to be a tongue twisting disaster. When it’s done right, it can be the most effective form of communicating and can often lead to new business and open doors to new opportunities. Here are my top 10 tips on how to deliver a presentation that will get an applause from any audience. The best way to wow your audience is to deliver a clear, concise message. But for this to happen, you need to prepare and practice thoroughly before every interview. Writing a game plan which covers key issues and the message you want to communicate can be a great way to clarify your thoughts. Even better, practice in front of the mirror or film yourself to identify areas for improvement. The more prepared you are, the better you will be able to get your key messages across. How you look on stage is crucial to how your audience will perceive you. Try to look relaxed and calm, and use slow, controlled gestures. If you look and speak confidently, you will appear more credible and people will be less likely to notice if you make a mistake. It’s also worth taking some time to figure out what you will wear. A simple and professional outfit is the safest bet. Avoid wearing stripes, checks, herringbone, small intricate designs or flashy jewellery as they can be distracting at times. It’s important to speak more expressively and energetically than usual when you’re presenting to an audience. Your message is less likely to be heard if you speak in a monotone, and speaking in a dreary tone won’t captivate any audience. Your voice should lift and drop, and increase and decrease in volume. Practice on your family and friends to make sure you don’t overdo it. How you engage with your audience will depend on the type of speaking opportunity you’re doing, but regardless of where your presentation takes place, it’s important not to ramble. Take a moment to think about what you say, and pause between thoughts. If you are in an interview situation and the journalist is quiet, don’t feel as though you have to keep talking. Keeping your words concise and to the point will help people to digest what you’re saying. Also pause instead of using filler words such as ‘um’ while thinking. And if you make a mistake, just correct yourself and move on. Don’t dwell on it. Trying to figure out where to look can be unsettling for anyone who is taking to the spotlight. Look for the ‘lighthouses’ in the room – the people that are really engaged. By looking at them from time to time throughout your presentation they will give you energy and confidence. Getting up in front of a room of people can rattle even the strongest nerves, so it’s important to relax and take a break from reading your notes. It can be useful to put your notes down in the 30 minutes prior to your interview to give your brain some time to unwind. Try and calm your nerves by calling a family member or friend, or stepping outside for some fresh air. You don’t have to be a professional speaker to take the stage at events, and anyone with expert knowledge can be a speaker. If you remain confident, calm and collected, and if you really believe in what you have to say, you will be able to connect with any audience. If you don’t feel you have these qualities, public speaking training may help you to prepare ahead of time. When you take the stage at any event, you can include case studies or examples from your business in your presentation. 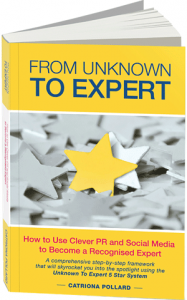 This will not only improve your credibility by showing you’re an expert in your field; it will also help you to build your brand awareness with the audience. However, keep in mind that you should never be overly promotional or talk about your business too much. Events offer a great opportunity to connect with other speakers and attendees. Often members of the audience will be eager to catch up with you after the presentation because something you said resonated with them. This is a great time to get their details and determine if they would be interested in your business or services. Speaking to an audience gives you automatic credibility on your subject matter. By honing your presentation skills, connecting with your audience and presenting at multiple events related to your field, you will become well known in your industry. If you get the mix right, soon people will be contacting you to speak at their events.